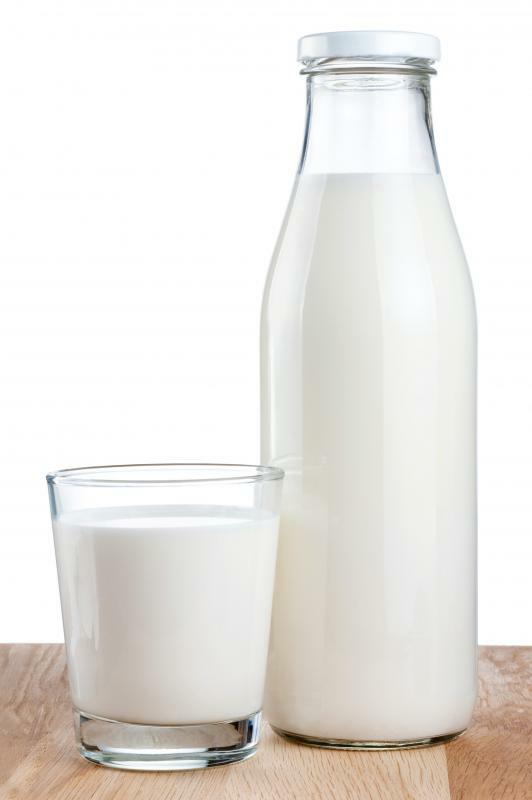 People with suspected dairy allergies should have tests to assess whether they are sensitive to casein or another milk protein. Casein sensitivity can cause intestinal spasms. People can be intolerant to casein, a protein in milk. Casein is a type of protein that is found in milk as well as in many commercially prepared food items. A casein sensitivity can cause any number of negative symptoms, although it is not technically considered to be an actual allergy. Some of the most commonly reported symptoms that may suggest casein sensitivity include abdominal pain, diarrhea, and aches and pains throughout the body. The exact cause of casein sensitivity is not completely understood, although there may be a genetic component in many cases. 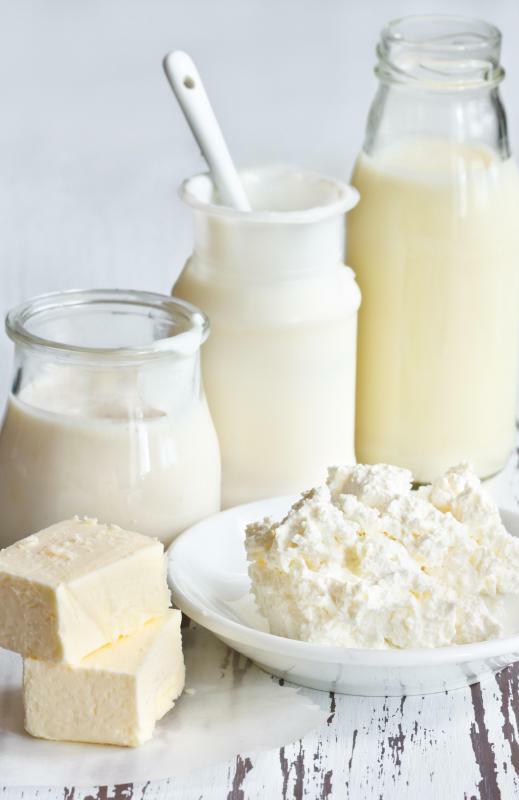 The only way to consistently manage this condition is to completely avoid all dairy products and any additional food products that contain casein. There is no reliable diagnostic test available for casein sensitivity, so diagnosis is typically considered to be confirmed if symptoms stop after eliminating casein from the diet, a process often referred to as an elimination diet. Gastrointestinal problems are common after consuming food items containing this protein. This may include abdominal pain, intestinal spasms, and bouts of urgent diarrhea. These symptoms usually occur within a span of 30 minutes to two hours after consuming casein, although this may vary. It is always wise to report any bothersome symptoms to a doctor so that more serious medical conditions can be ruled out. Additional symptoms that may be associated with casein sensitivity include headaches, muscle pain, or shortness of breath. Chest pain may sometimes be present as well, especially when shortness of breath occurs. Some people may experience numbness and tingling, often described as a pins and needles sensation, especially in the hands or feet. If eliminating casein from the diet does not resolve these symptoms, it is important to consult a doctor for further medical evaluation, as some of these symptoms may also indicate the presence of a more severe medical condition that could require additional testing. A casein sensitivity can often be diagnosed in infancy, although it may sometimes take longer. Symptoms to look for in babies include skin conditions such as hives or eczema or gastrointestinal disturbances such as vomiting or diarrhea. Respiratory symptoms such as asthma may sometimes be a result of a casein sensitivity. Babies who show signs of any type of dairy allergy or intolerance are often switched to a soy-based formula. In most cases, this resolves the problem, although some babies who have a sensitivity to dairy products will also react in a similar fashion to soy products. How Do I Choose the Best Casein-Free Foods? What is a Dairy Free Diet?